Community Board 6’s Land Use and Waterfront Committee discussed some of the imminent changes planned for the East River, in the context of both the Blueway Plan to provide more access to the river for recreational activities and the proposed renovations of the Skyport Marina at the committee’s monthly meeting last Wednesday. 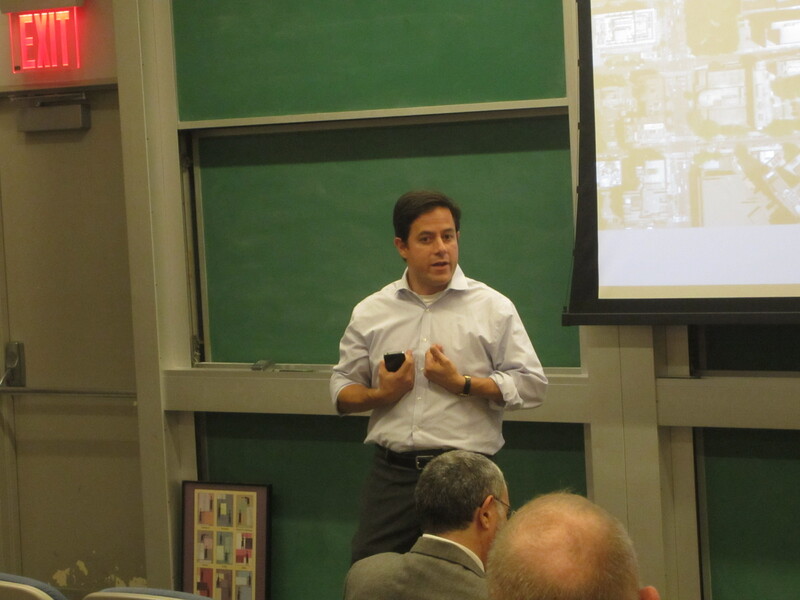 City Council Member Dan Garodnick was on hand at the meeting to collect input from the committee on how the community would like to use the $1.5 million in funds that his office has allocated for Stuyvesant Cove Park. A number of volunteers and staff members from organizations such as Long Island Community Boathouse and Metropolitan Waterfront Alliance attended the meeting. Rob Buchanan from the NYC Watertrail Association said that he and his colleagues found out about the meeting too late to prepare a presentation with ideas and would be willing to come back to the meeting next month, but LIC Boathouse volunteer Ted Gruber had a preliminary suggestion. The council member acknowledged that there are interim solutions that could be considered, but he is optimistic that the project will be completed. What that project is specifically, he said, is up to the ideas from the community, but he feels that the money available is most conducive to a kayak launch. According to calculations that Garodnick got from the Economic Development Corporation, expanding a beach in the space would be about $7 million, which would be more than an ecodock and kayak launch. An ecodock would also be costly at $4 to $5 million, he said, including an additional $500,000 per year for dredging because the water is too shallow, but that option would be revenue-generating because it would allow historic vessels to dock there. EDC’s Senior Vice President of Asset Management Rich Cote was at the meeting to address additional questions about the proposed renovations to the Skyport Marina and a number of committee members expressed concern about the changes, especially in light of the discussion about increasing recreational activity on the East River not far from where the marina is situated. Cote had said that the bulk of the work planned was focused on maintenance and improvements to the infrastructure, and one of the major concerns from committee members was the possible addition of more space for larger seaplanes that was included in the presentation EDC gave at the previous meeting. Imbimbo added that the Community Board has a history of opposing seaplanes, noting that committee member Lou Sepersky found a CB6 resolution from 1999 that opposed seaplanes and the community board struggled with the city over the heliport at East 34th Street when that was new to the area. Cote responded that there were no specific plans for larger seaplanes to be docked at the marina “in the near future” and that they were only creating a place for seaplanes to come in, but committee members were not appeased by the implication that larger seaplanes could technically be docking at the marina at some point. I would be happy if they just stopped letting junkies and hookers live there! that would go a long way to improving the cove. My daughter and I were walking around Sunday morning and came across a man shooting up his girlfriend. Lovely. Thank you for posting this and, especially, for an even-handed discussion of the three major elements of contention: community vs commerce vs cost. It appears to me that the first two both want exclusive of the facility and that the other has to pay for it! While I don’t have a complete solution, let me float (pun intended) a few ideas that may lead to an equitable compromise. 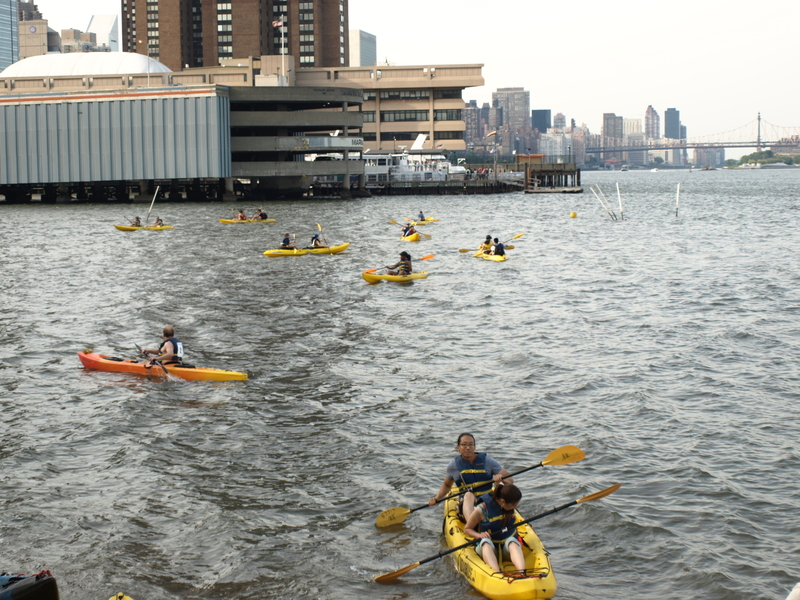 Kayaks are great fun and would increase the recreational opportunities for the area. But, in the name of ecology, why stop there? If the facility were also open to privately-owned, small human and wind powered craft for a modest fee, personal access to the water would be enhanced without over-burdening public funding. Seaplanes are noisy, especially on takeoff, but noise abatement can be achieved by requiring takeoffs be a minimum distance from shore and restricting the hours and frequency of scheduled operations. In return, they offer an income opportunity for the obvious support items (fuel, docking, landing fees) but also potential added revenues of related retail opportunities that could serve both the seaplane passengers and the recreational boaters. Food, souvenirs, boating clothing and supplies are the first that come to mind, but i am sure that there are many others. Again, the community would benefit with public funding only serving to provide seed money. That is, both proposals together would require less public funding than either proposal alone. And that lower cost would provide greater community benefit as well. That sure sounds like a win-win to me! Whoops! Where did that “0 thoughts …” come from? Shoulda been just “Thoughts …” Sorry about that!